When you uncork a bottle of an essential oil you are entering a world far older, more primal and much more powerful than you ever imagined. Let’s get down to it. Essential oils are quite literally the essence of the plants they come from. They are concentrated liquids containing the parts of the plant that attract pollinators, deter pests, and essentially, smell nice. During the ancient Egyptian era, perfume and natural oils played a huge role in religious services. They were used to cleanse the air and make offerings to the gods. Perfume and personal grooming were considered so important the Egyptians had a god, called Nefertem, dedicated to it. The rich were often buried with incense and scented oils - in fact, an ornate perfume container was found in King Tutankhamun’s tomb. Essential oils were usually reserved for deities and royalty because of the expense involved in creating these early plant decoctions. Kyphi was a type of incense commonly used in rituals, and consumed as a medicine. There is no set recipe, but it tended to include ingredients such as myrrh, mimosa, cinnamon and mint. Egyptian priests would make up these mixtures, and are considered the world’s first perfumers. Although the Egyptians would have used similar natural ingredients to the ones used today to create their ointments and incense, the perfume they obtained would have been far less fragrant. They had not yet discovered how to distill fragrance, and instead pressed oils from plants or steeped them in liquids and fats for prolonged periods of time. In ancient Greek and Roman times, perfume and incense continued to play a part in funerals and religious ceremonies. In 2007, the world’s oldest perfume factory was discovered in Cyprus – the mythological home of the goddess of love Aphrodite. It is believed the factory supplied temples and worshippers with scents to bring them closer to the gods they revered. Unlike in ancient Egypt, in the Roman era perfumes were available to a wider range of people. Cheaper scents came in ceramic vases, while more expensive perfumes were packaged in elaborate porcelain vials that could be bought in purpose-made shops and stalls. Both the Romans and the Greeks had yet to discover how to distill perfume from plants, so instead they extracted scent through burning materials or by steeping ingredients like rose, violet, and jasmine in oil. But perfume wasn’t just used for making people smell nice; the Greeks and Romans believed bad air could spread disease. Hippocrates – the father of modern medicine – wrote that dangerous fumes could be transported by wind and cause serious illness. People believed that by using fumigation and filling the air with scent, they could prevent disease from spreading. The discovery of distillation can be traced back to Persia (modern-day Iran). It is here that physician Avicenna discovered the chemistry behind non oil-based perfumes. This discovery allowed Persians to produce rose water,a commodity Iran is famed for. Stills – equipment used for distillation – were perfected by scientists in the era, and were a major addition to pharmacology as well as perfumery. Their use allowed the creation of key medicinal substances, such as alcohol, that were used in treating illness and disease. Despite this leap in science, in the world of perfumery the process of distillation was still mainly used to create perfumed waters. It was not until later that extraction methods allowed for modern essential oils to be produced. Perfume continued to be a status symbol in Persia. Royalty and high-ranking members of society were often painted with perfume bottles and perfume flowers in order to demonstrate their wealth and importance. The Middle Ages and Renaissance saw a change in how people used perfume and essential oils. In the West, Christian religion taught that personal application of scent was excessive and its use for this purpose declined. Nevertheless, the tradition of using scent during worship prevailed, with incense burned in dedication to God. People believed foul smells, of which there were plenty, were offensive to God, and, based on Hippocrates’ teachings, attributed them to illness. In order to ward off ‘bad air’, people wore amulets, called pomanders, containing oils, incense and fragrance around their necks. One recipe used by Queen Mary I included familiar ingredients benzoin resin, calamite, rose water and labdanum - as well as now-disused animal-based ingredients ambergris, deer and civet musk. Specialist apothecaries opened up to mix and sell these fragrant, often strong- smelling, mixtures. These early-day perfumers were often considered as pharmacists too, and it was around this time that many medicinal and therapeutic benefits were attributed to plants and spices. Apothecaries utilised the potency of natural ingredients and created new concoctions using freshly discovered ingredients from around the world. In the 18th and 19th centuries perfume, became a means of seduction and a symbol of wealth and nobility. Those who could afford it used perfume wherever they could - applying it to clothes, bodies, hair and accessories, as well as bathing in perfumed waters. In fact, perfume was so essential the nobility carried elaborate travelling cases called nécessaires de voyage in which to keep their numerous bottles and blends. Marie Antoinette viewed her travelling case as essential, and famously commissioned a replica of it while planning to flee France during the French Revolution. With the discovery of germs in the 1800s, the importance of bathing was emphasised. Heavy scents to cover bad odours were no longer necessary, and perfume tastes changed accordingly. People preferred fresher, more floral fragrances instead of stronger-smelling musks that were derived from animals. Discovery of ruins from the antiquity also encouraged a fashion for ancient Egyptian, Roman and Greek styles that influenced perfumes and perfume bottles of the period. The French town of Grasse is considered the international perfume centre of the world. The small town in the South of France has been at the forefront of perfumery for centuries, beginning as early as the 1400s when Ermentaire Tossenti set up his own apothecary to sell blends of oils and natural ingredients. The town is famed for its temperate microclimate, which makes it perfect for growing the most fragrant plants and flowers for use in perfume. Grasse was also home to a burgeoning glove making industry from the 16th century onwards. Many of the townspeople worked tanning leather and making fine gloves for export across the world. But the industry had one whiffy side-effect – tanning leather smelt bad. Utilising the fragrant raw materials available to them, the people of Grasse developed scents and perfumes to cover the unpleasant smell of tanned leather. As the glove-making industry declined, keen entrepreneurs began to develop the perfume industry in the town. By the late 1800s Grasse was distinguished for the quality ingredients and perfumes it was producing. Major perfume houses such as J.B. Dulac, J.L Fargeon and Lubin had established themselves in Paris and were popular amongst the wealthy. As chemistry and science advanced in the 1900s, the perfume world was revolutionised. The discovery of methods to make substances like synthetic vanillin allowed for the creation of cheaper fragrances for the mass market. It meant perfumers were able to mimic the aromas of natural materials that had previously been impossible to extract from their sources – such as lily of the valley. Perfume once again became available for everyone to enjoy. Jicky was one of the first perfumes created with the addition of synthetic fragrances. It was also the first abstract perfume – meaning it was based on more than one essential oil or note. Jicky paved the way for the spectrum of different fragrances enjoyed across the world today. Nowadays, perfumery is once again changing. The saturation of the market and prominence of ‘celebrity’ scents, has lead to increased demand for exclusive and bespoke fragrances. 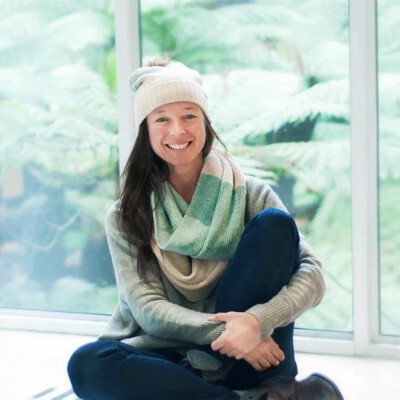 At the same time, consumers and companies have a growing awareness of their environmental and societal responsibilities – and with this comes a real drive for responsibly sourced ingredients and traceable creation stories. Essential oils have always been used for their benefits to the mind, body and soul. However, the term ‘aromatherapy’ is relatively modern and was only coined in the early 20th century by René- Maurice Gattefossé. Gattefossé famously discovered the soothing properties of lavender oil after sinking his burned hand into a vat of it accidentally. Since then, the practice of using a combination of essential oils and massage to elicit a physical or mental benefit has seen a resurgence in popularity. There are hundreds of courses, specialists, books and media relating to aromatherapy, which makes it difficult to assess accurately the science and claims behind it. In many ways aromatherapy is an umbrella term encompassing a wide variety of beliefs. Many ascribe to the idea that essential oils can affect moods, while others go further and believe aromatherapy and alternative medicine has the power to cure all manner of diseases. Nevertheless, essential oils can now be found in a wide variety of products thanks to the age-old benefits they impart to mind, body and soul. FeaturedMaking sense of smell: What are pheromones? FeaturedWhat do clouds have to do with essential oils? Nature is full of wonderful fragrances, but how exactly does the alluring scent of a rose, or the hypnotic aroma of cinnamon, make its way into a bottle? Steam distillation is the most common type of extraction. It is used to obtain oils from herbs, seeds, barks and roots - including peppermint, sandalwood and clary sage. Steam distillation works by forcing an ingredient to release the volatile oils inside. First, the ingredient is placed inside a vat with steam or hot water. The heat breaks down the plant and its aromatic compounds are released as vapour infused with essential oil. This aromatic steam is then condensed and separated into water and essential oil. Steam distillation can be traced back to the 10th century. Some ingredients cannot withstand the steam distillation. Instead they are put through a process called solvent extraction. Ingredients, such as flowers and petals, are submerged in a solvent to release their aroma. The solvent mixture dissolves the aromatic compounds of the plant and releases them into the liquid. The solvent is then removed, leaving behind a fragrant absolute. It is commonly believed that plants like jasmine are too delicate to be steam distilled, but delicacy has nothing to do with it. It all comes down to a plant’s biology. Possibly the simplest and oldest form of extraction, expression involves pressing an ingredient to release an essential oil. Nowadays, it is usually used to collect oils from the peels of citrus fruits, such as grapefruits, lemons and limes, because they store the majority of their oils in their skin. This type of extraction can be done by hand simply by squeezing the peel, or on a larger scale in a mechanical press. Expression is the easiest way to obtain an essential oil from a plant. You can do it yourself by squeezing the peel of a lemon or lime. When you think of essential oils, weapons are probably not the first things that spring to mind. But in the right concentrations, essential oils, and the chemicals they’re made up of, can be lethal or lifesaving. Scent chef Louise BloorEssential Oils aren’t just for perfume. 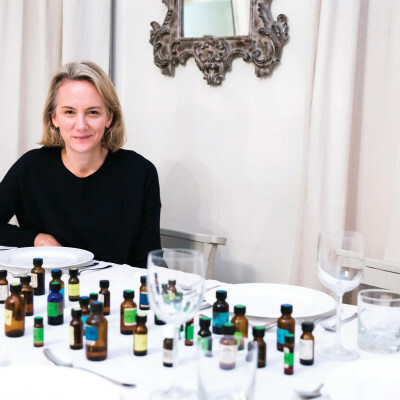 Bespoke perfumer and founder of the Fragrant Supper Club Louise Bloor explains how she incorporates essential oils into her meals. Flavour fanatic Duncan O’BrienPartial to a fizzy drink? 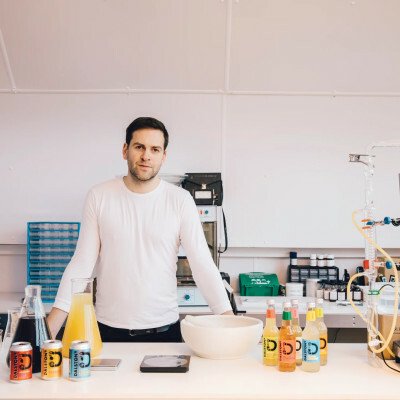 Dalston’s Cola Company’s Duncan O'Brien explains how essential oils feature in his soft drink brand. 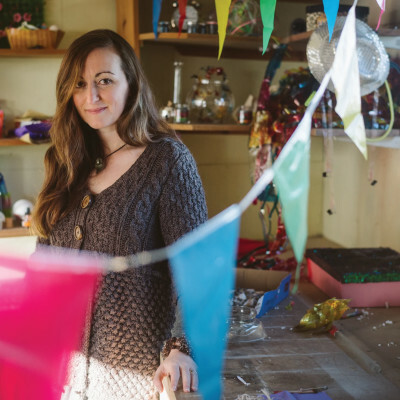 Sensory storyteller Joanna GraceWords aren’t the only tools you can use for telling a story. Sensory engagement and inclusion specialist Joanna Grace shares how to tell a story using smell. Smell archivist Kate McLeanYou’ve followed a map. You’ve followed your nose. But have you done both, together? Smell archivist Kate McLean creates unique smell maps to document the aromas that define towns and cities.